Blend chard and almond milk till it gets smooth. After that add remaining ingredients and again blend till gets smooth. 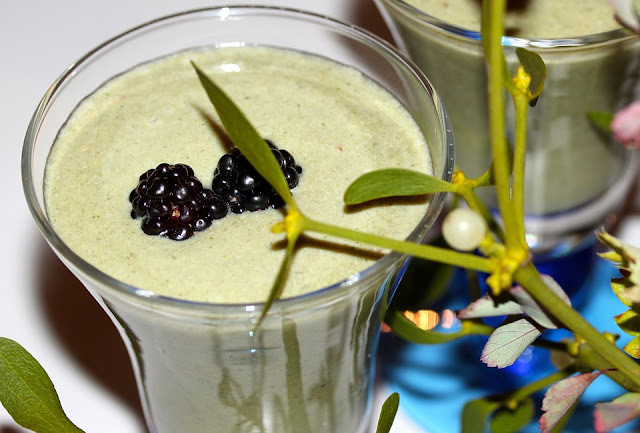 Here is our cinnamon green smoothie is ready with different berries.